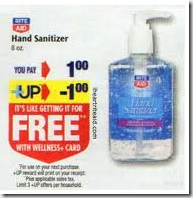 Free Hand Sanitizer at Rite Aid! Rite Aid is having a good deal for Hand Sanitizer for this week of 9/23/12. Domino Organic Agave Nectar Free at Target! Crest Toothpaste or Oral-B Toothbrush Free at Rite Aid!